“Rain, rain go away come again another day” is the motto when we are all dressed up to go to work in our fine linens and crisp cottons and it begins to pour. Here are some tips on how to dress well and powerfully even when it’s pouring cats and dogs. Crossing the road without water being slashed on your favourite dress is a mission. Catching the bus or reaching office or even getting to your car from the front door is a task. But the monsoon season is also the time to change your wardrobe completely, to change your look for the season and to dress up ever so fashionably. Do you hate to wear your pretty dress out there in the rains and fear the colour running or spoiling it? Monsoon clothing is the solution to all the problems. Change your wardrobe during the monsoons. Instead of the lengthy difficult clothing that might get wet and spoilt choose garments that are easy to manage and look good in the rains. Change your style and fashion for the rains. That is no reason to not dress up well in the gloomy season. You can look like a ‘fashionista’ in any weather or season. Colour is the mantra for the season. Bright, sassy colours bring life to a dull rainy day. Instead of the long and high maintenance clothing, choose short and easy to wear clothes. The long and heavy weight clothing always creates a problem in the rains and the monsoon season. Keep it simple is the rule to follow in the monsoon season. There are some simple things to keep in mind during the monsoon to look good and still feel comfortable. Instead of wearing loose long clothes that get wet easily and stay wet longer opt for snug fitted clothes that are shorter. Fabrics play an integral role in the monsoon clothing. You need fabric that dry easily and do not make you shiver in the air-conditioned office or coffee shop. Cotton blends, crepes, poly-cottons and chiffons are best suited for the monsoon clothing. These fabrics do not get spoiled in the rain and do not lose their sheen and dry quickly. These fabrics also need not be ironed and do not look all wrinkled and worn out at the end of the day on a rainy day. The moisture absorbency in these fabrics is very less too, ergo; they are perfect for the rain. Due to the gloomy weather in the monsoon season and the lack of colour in the ambience the accent is on bold colours. Pastels are not the way to go as there is no sunshine and the weather is not bright enough like the summers. You should opt for fabric that dry faster and do not lose their colour. On a rainy day one can feel the blues in the weather. To fight the mood changing weather you have to dress up to brighten up your surroundings and change your mood for the better. Infuse your wardrobe with bright and neon colours and vibrant hues. Magenta, bright green, red, yellow and electric purples are the colours that will inject your life and wardrobe with the much wanted flamboyance. Do not wear whites in the rains. It is best to keep away from the whites as they are the easiest to get dirty. Also, white fabrics, once wet, tend to become very translucent and are very uncomfortable to wear. Try and stay away from light shades like fawn, cream or beige as they, like white, tend to get dirty really fast especially in the rain. Keep the silhouette clean. The cut should not have too many layers or too many tailoring details that make the garment messy and untidy. Wear simple shirts and Capris or ‘churidaar’ and ‘kurtis’ that are easy to wear and have a neat appearance. Keep away from denims. They get drenched and take forever to dry. You will end up with a cold before your jeans dries up wear leggings and kurtis or long shirt that are very easy to wear and very trendy this season. Knee length skirts with shirts or blouses are very hot selection for the season too. Well cut dresses with short hemlines are very apt for monsoon clothing. Avoid wearing jeans or denims. Opt for shorter clothing like Capris or knee knocker sorts that just about cover your knees are a hot favourite this season. Opt for short sleeves or sleeveless blouses that easier to dry and to manage. Do not wear loose ‘shalwars kameez’ or crisp cotton kutra’s that you know will not look good when wet. Choose churidaars and short kurtis that keep the silhouette clean and well cut. Due to the uncertainty of the weather you never know when the downpour might strike so always be prepared. Wear colour fast clothes that do not bleed colour. You don’t want your clothes looking all discoloured. If you wear saris opt for chiffon or crepe saris that dry faster and not silk or cotton saris that lose their charm and shape when they are wet. Shorts and mini dresses are very cool options for monsoon clothing. Bright neon printed t-shirts are very cool for the rains too. 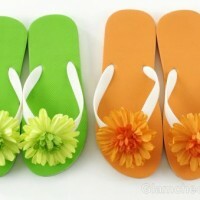 They add colour to your ensemble and are very trendy. Try small dresses in vibrant hues in poly blends that dry fast and are a no-fuss garment. These dresses are very comfortable for the monsoon season. Avoid thick material. Wear dungarees with funky t-shirts to be fashionable for an evening out with friends. Match leggings with your mini dresses to cover up and look cute and attractive. If you want to dress up for a party in the monsoon you need to keep in mind if it is an indoor or outdoor. Keep in mind the occasion for the party. If it is just an evening of drinking and snacking you can wear a knee length sheath dress or a knee length skirt with a fancy chiffon blouse in a bright shade. For the day time keep your attire bright. For the evenings you can choose blacks or deep purples or reds. Keep the cuts simple and the dress short. You can play with the necklines and the waistlines of the dress to keep the look fancy. Big necklines and daring backs are very chic to keep the monsoon look upbeat. Wear water resistant accessories in the monsoon clothing. They are funky and very chic. The market is full of fashionable water proof accessories like watches, footwear, necklaces, earrings and many more to adorn your favourite monsoon outfit with. Accessorise monsoon clothing with glass or plastic accessories to make your garment look vivacious. Wear glass beads and hoops to look trendy. Wear funky raincoats and use fancy umbrellas in vibrant shade. Footwear should be kept in mind. Do not wear leather or suede footwear in the rains. Wear PVC or PU sole footwear in bright colours. There are a lot of monsoon accessories available in the market. Experiment and add a personal touch to whatever you wear this rainy season and try to keep the look simple and chic. This time don’t let the rain catch you off-hand, when it rains you will be ready for it and you will be dressed just for the occasion.